Peut-Être Theatre is developing a new show all about tidying up and they need some little helpers. 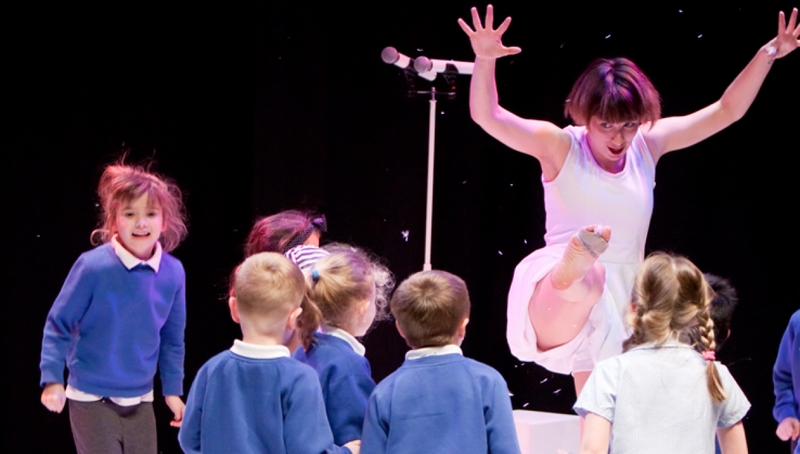 Join the renowned dance theatre company for a fun-filled, interactive day for ages 3+ all about order and mess, and discover how a new show comes to life. As well as taking part in activities, you’ll also get a sneak-peak of Peut-Être Theatre’s new production. It’s a work-in-progress so they want to see what you think. Peut-Être Theatre create unforgettable early theatrical experiences. The shows combine visuals, movement and music for the enjoyment and inspiration of children and families. Since its founding in 2008. Peut-Être Theatre’s previous shows at the Roundhouse include, The Tin Soldier and The Little Bird Who Stayed For Winter.